“War means fighting, and fighting means killing.” Confederate cavalry commander Nathan Bedford Forrest famously declared. The Civil War was fundamentally a matter of Americans killing Americans. 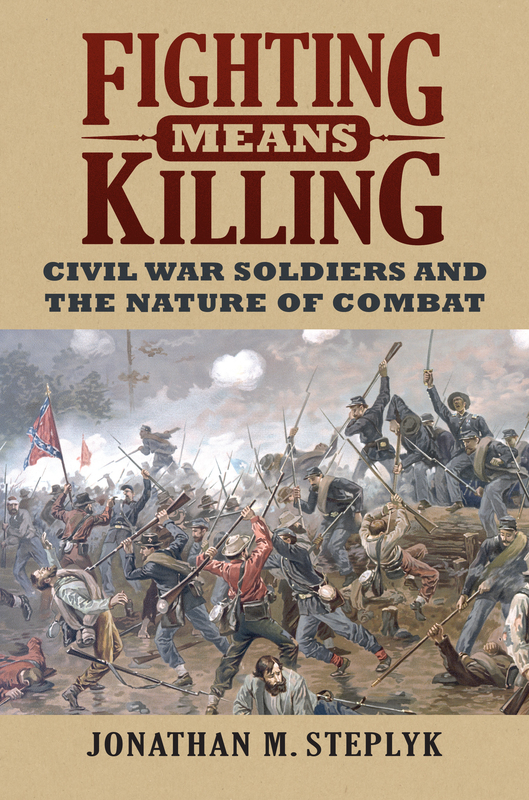 This undeniable reality is what Jonathan Steplyk explores in Fighting Means Killing, the first book-length study of Union and Confederate soldiers’ attitudes toward, and experiences of, killing in the Civil War. Drawing upon letters, diaries, and postwar reminiscences, Steplyk examines what soldiers and veterans thought about killing before, during, and after the war. How did these soldiers view sharpshooters? How about hand-to-hand combat? What language did they use to describe killing in combat? What cultural and societal factors influenced their attitudes? And what was the impact of race in battlefield atrocities and bitter clashes between white Confederates and black Federals? These are the questions that Steplyk seeks to answer in Fighting Means Killing, a work that bridges the gap between military and social history—and that shifts the focus on the tragedy of the Civil War from fighting and dying for cause and country to fighting and killing. Jonathan M. Steplyk is adjunct instructor at Texas Christian University, Fort Worth, and adjunct lecturer at the University of Texas at Arlington. His work has been published in The Tennessee Campaign of 1864 and a forthcoming anthology on the siege of Vicksburg.